Returning after a 7-year hiatus, get your record players ready! When you think main street New Hope, a couple of stores pop into mind. Love Saves the Day and Type B embody the hip and trendy spirit of the town. Let’s get into the mood with the famous New Hope Record Riots! Taking place right outside of downtown at The Event Center by Cornerstone, New Hope Record Riots is sure to attract music lovers of all kinds. Whether your window shopping or getting in on the action, records and music memorabilia will be on full display. With over 40 tables packed with musical history, it’s easy to get lost and end up spending the day here but believe me; it’s worth it. 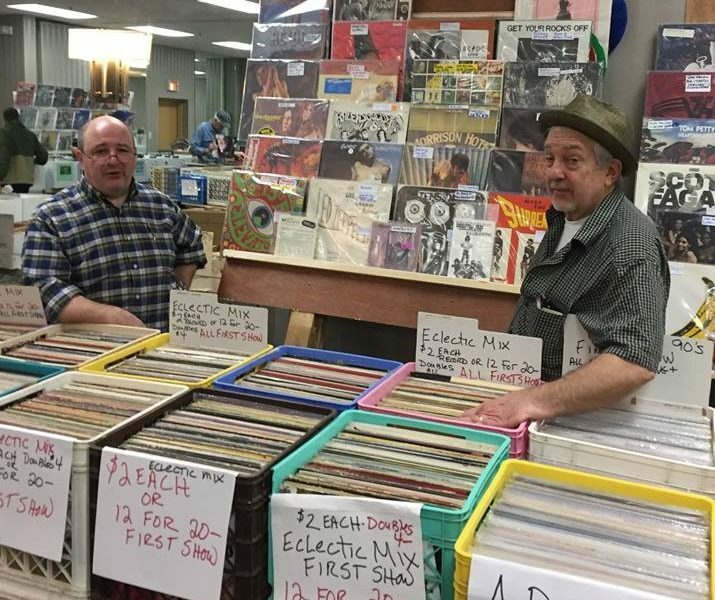 Bring your friends and dig up those classic CDs, LPs & 45s you haven’t seen since your childhood. Record Riot has always been a trip down memory lane, and we’re so excited it’s returning after seven years! There’s nothing like actually holding a favorite album in hand… a step-up from iTunes. From 10:00 am to 5:00 pm on Sunday, February 24th, New Hope Record Riot’s is the place to be! For those looking to arrive before-hand, early admission tickets are available for 10$ and can be purchased here. Better yet – if you’re looking to sell records of your own, send Record Riot’s an email (recordriots@gmail.com) and get ready to rock! We would love to help you get your local event published on Delaware River Towns Local. If you feel like you need some more help with promotion of your event, Trinity Web Media can assist with that, so please drop us a line.